James R. Cheek, 75, of Little Rock, passed away, Saturday, May 14, 2011. He was born on April 27, 1936 in Decatur, Georgia, the son of Dorothy Webb Cheek and Woodrow Wilson Cheek. 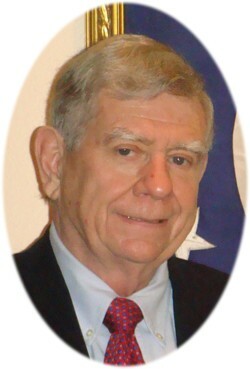 A career diplomat who served in Latin America, Africa, Asia, and Europe, James Richard Cheek was United States Ambassador to Argentina from June 1993 until December 1996. Prior to that, he was a member of President-elect Clinton's transition team at the State Department, following an assignment as Ambassador to Sudan from 1989-92. He was Acting Ambassador and Chief of Mission to Ethiopia during the great famine from 1985-88, and was a Deputy Assistant Secretary of State for American Republics Affairs from 1979-81, during which time he was also Acting Ambassador to El Salvador. Ambassador Cheek was also Deputy Director of Regional Affairs, Bureau of Near East and South Asia affairs at the State Department, 1975-77. Joining the State Department as a Foreign Service Officer in 1961, Ambassador Cheek's assignments overseas included tours at our embassies in Santiago, Chile; London, England; Rio de Janeiro, Brazil; and Managua, Nicaragua. He was Deputy Ambassador in Montevideo, Uruguay (1977-79) and Deputy Ambassador, Katmandu, Nepal (1982-85). In 1997, James and his wife, Carol, returned home to Little Rock to be with their family. He is survived by his daughter Leesa Ferguson; sons Forrest and Surya, all of Little Rock; granddaughters Mallory Ferguson and Alexandria Cheek; and grandson James Cheek. The family will receive friends at Roller-Chenal Funeral Home, (501)224-8300 from 11 a.m. until 12 p.m., Wednesday, May 18, 2011, followed by a brief celebration of life service. In lieu of flowers, the family requests that donations be made in James� memory to Heifer International, #1 World Avenue, Little Rock, Arkansas 72202.